포카라 - 포카라에 위치한 아파트. 포카라의 지도, 포카라에 위치한 아파트에 대한 사진 및 리뷰. 포카라에 호스텔, 저렴한 호텔, 아파트, 게스트 하우스, B & B를 찾고 계십니까? 포카라의 모든 최고의 가격은 kr.Dorms.com안에 있습니다. 매달 수천명의 여행자들이 이곳에서 예약을 진행하시듯이 고객님도 포카라의 저렴한 가격에의 호스텔을 안전하게 예약하실 수 있습니다. 웹사이트에 고객님이 원하시는 핫 트렌디 시내 주변의 호스텔을 쉽게 찾을 수 있으며, 대학가, 기차역, 공항, 모든 포카라의 관광명소에서 가까운 호스텔을 찾을 수 있습니다. Zostel did not disappoint in Pokhara. Food was really good, the pancake is a must try. The rooms are clean, there are terraces and lots of areas to hangout. There is a fishpond, the location is simply superb. 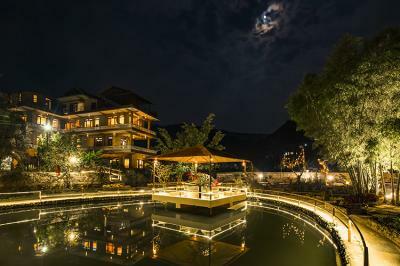 The atmosphere is just chill and relaxed, a surprising treat for backpackers all over the world. The team ensures a great Zostel experience during your stay. Situated away from the hustle and bustle of the city life, Zostel Pokhara let's you wake up to beautiful morning views of the sunrise and the lake. It surprisingly looks more like a resort than a hostel. The area is very spacious, lots of chill out spaces, lots of opportunities to meet fellow travellers and staff who goes out of their way in helping you plan your trips. This hostel in Kochi is okay for the price. Good location. Friendly staff and very good price for this hostel. I recommend it. This hostel in Pokhara is clean and close to the lake .